Volkswagens are a great example of German engineering. They are stylish, fast, functional, and dependable. They perform and exceed expectations in various types of weather. If maintained and serviced properly they will last a lifetime. Known as “The People’s Car,” Volkswagen has maintained their reputation for creating great cars. Whether you are driving to the grocery store or cross-country, you want your VW running in perfect condition. At Dave’s Ultimate Automotive in Pflugerville, TX, you can expect nothing but the best Volkswagen repair and service in the area. We are family owned and operated with two decades of automotive repair experience. We value our customers and appreciate the trust they put in us when it comes to their Volkswagen repair. Our Customers know when they come to us they are getting Dave’s Ultimate Experience. That includes top-notch customer service and dependable repairs. Your Dealership Alternative for Factory Maintenance and Repair. No one enjoys having their car in the shop. Breakdowns and repairs are hardly predictable, but they can be avoided with proper care and maintenance. Our ASE (Automotive Service Excellence) Certified Technicians are routinely updated and trained on all VW makes and models. Armed with the latest tools, hardware, technology, and diagnostic equipment available; we aim to provide nothing the best Volkswagen repairs available in the Pflugerville area. We stand behind every Volkswagen repair and service with Dave’s Lifetime Warranty. We believe if you pay for a repair on your vehicle, you should never have to pay for the same repair again. To keep your car in great condition and performing like new, we advise keeping up with a factory scheduled maintenance plan. Our technicians will create a personalized maintenance plan that fits your car and driving habit. Protecting your investment and safeguarding the dependability of your Volkswagen is our top priority. Trust your Volkswagen repair to Dave’s. 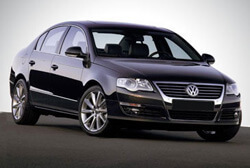 Any time you need Volkswagen repair or service our mechanics will perform free safety checks. We will inspect your brakes, trouble codes, alignment, and air conditioner. We do this to ensure our customer’s safety and keep their cars on the road for years to come. Check out our specials page if you are a first-time customer or become a VIP for even more valuable savings. We have a comfortable waiting area and free Wi-Fi and coffee while you wait for your vehicle. If your repair requires a little more time we have free local shuttle service and loaners cars available upon request. Call (512) 989-3283 or schedule your appointment online today!